The project is the largest enclosed wholesale garment mall in the central Los Angeles Garment District. 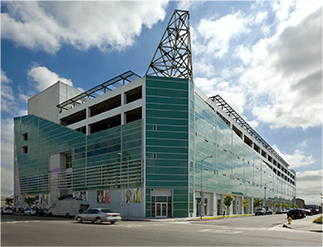 Relatively unique in an area where shop space is mostly rented, the Los Angeles Fashion Center offers tenants the opportunity to buy their space. 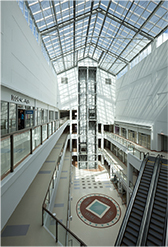 The Los Angeles Fashion Center provides one-stop access to multi-levels of centralized mercantile condo units. The 650,000-square-foot, 7-level project includes 196 units of wholesale merchant condo space, which are located on the lower three levels. On site parking — a luxury in the crowded and congested Garment District area — is located on the upper three levels and roof, allowing for a total of 747 cars. A freestanding circular ramp allows easy access to the parking spaces.